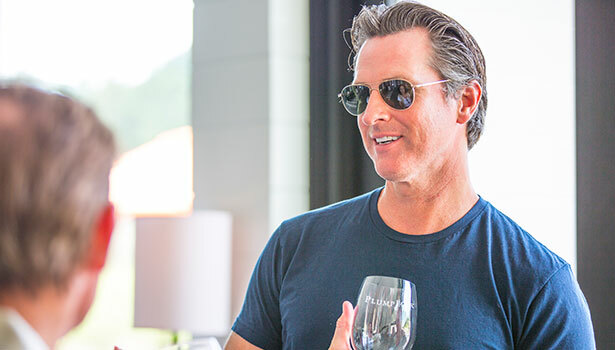 Gavin Newsom is a fourth-generation San Franciscan who was elected two consecutive terms as Mayor of the city and now serves as Governor of California. Over the years, Newsom has worked tirelessly in the public sector to revitalize MUNI, restore neighborhood parks, combat homelessness and protect diversity. Californians know him as the Governor. San Franciscans know him as their 42nd mayor. But we know Gavin Newsom as the founder of PlumpJack. Gavin started PlumpJack Wines in 1992, and under his leadership the company grew to include many of the restaurants, wineries, and retail establishments in the current portfolio. He still maintains his role as a partner in PlumpJack, CADE and Odette Wineries and consults with the management team on matters of vision. For more information about Gavin Newsom, visit his website GavinNewsom.com. John Conover joined PlumpJack Winery as general manager in January 1999 to oversee the daily operations of the estate winery and vineyard, provide strategic direction for the newly-established property, steadily increase production from 1,000 cases to 10,000 cases annually, and create the image, awareness and global distribution channels that would ultimately support that level of production. The critical and fiscal success of PlumpJack Winery ultimately inspired the purchase of a new 54-acre property on Howell Mountain. CADE Winery, founded in 2005 by partners Conover, Gordon Getty and Gavin Newsom, is nestled against dramatic slopes at an elevation of 1800 feet. The grapes grow in soil characterized by mountain ash and minerals, and the temperatures provide the perfect conditions for ripening, producing grapes with balance and density. From the outset of this new endeavor, the partners were committed to building CADE as the first Gold LEED-certified estate winery. “No one had ever attempted this, even the contractors, so the responsibility fell to us to develop a completely original plan,” says Conover. “We used everything from recycled concrete to insulation made from blue jeans. We incorporated solar panels to minimize the amount of electricity we use on the premises and utilized renewable cork flooring. We also made the commitment to be extremely careful with water use. Since it’s opening, CADE has served as a model for those seeking this level of green building, from UC Davis to other private winery ventures,” Conover concludes. With CADE’s success mirroring that of PlumpJack’s, the three partners were open to a third winery when the opportunity to purchase an historic property in Stags Leap was presented in the fall of 2011. Soon thereafter, in February 2012, they founded Odette Estate. Odette, which spans 45 acres and is currently in the late stages of development, will also be Gold LEED certified and farmed organically. The winery’s first vintage, a 2012 Cabernet Sauvignon, was released in February 2015 and received high awards from wine critics, securing a position for Odette among its celebrated siblings. In October 2016, Conover oversaw the purchase of an 82-acre vineyard site adjacent to CADE. The acquired vineyards are planted to 74 acres of Cabernet Sauvignon and three acres of Sauvignon Blanc, providing a significant increase in premium quality, estate vineyard grapes for the CADE winemaking team. Conover spends time at each winery each day. “Running wineries isn’t something one does remotely,” he says. “It’s an agricultural business and requires a feet in the soil approach to management. It’s also a very human business and that means spending time with the people who are the bedrock of our organization. Conover lives in St. Helena with his wife, Ann Marie, having raised two daughters who are now in their twenties. He is currently serving on the Board of Directors of The Napa Valley Grape Growers. Composer, philanthropist, and entrepreneur, Gordon’s role in our collection of wineries has directed some of our boldest endeavors, including our use of screw cap technology. 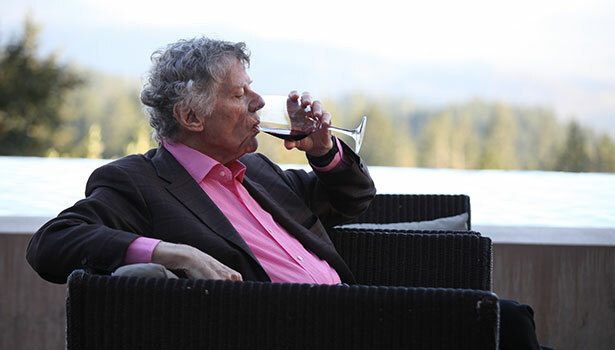 The music of the American composer Gordon Getty has been widely performed in North America and Europe in such prestigious venues as New York’s Carnegie Hall and Lincoln Center, London’s Royal Festival Hall, Vienna’s Brahmssaal, and Moscow’s Tchaikovsky Hall and Bolshoi Theatre, as well as at the Aspen, Spoleto, and Bad Kissingen Festivals. In 1986, he was honored as an Outstanding American Composer at the John F. Kennedy Center for the Performing Arts, and he was awarded the 2003 Gold Baton of the American Symphony Orchestra League. Getty has recently devoted considerable attention to a pair of one-act operas, Usher House (derived from Edgar Allan Poe’s The Fall of the House of Usher) and The Canterville Ghost (after Oscar Wilde’s tale). The former will be premiered in 2014 by the Welsh National Opera. Getty’s first opera, Plump Jack, involving adventures of Shakespeare’s Sir John Falstaff, was premiered by the San Francisco Symphony in 1984 and has been revived by the Los Angeles Chamber Orchestra, BBC Philharmonic, and London Philharmonia, among other ensembles. In 2011 the Munich Radio Orchestra and an international cast conducted by Ulf Schirmer performed a new concert version of Plump Jack, which was simulcast on Bavarian Radio and released in 2012 by PentaTone Classics. The same label is preparing the release of Usher House, with Lawrence Foster conducting the Gulbenkian Orchestra Lisbon. Getty, who studied at the San Francisco Conservatory, has produced a steady stream of compositions since the 1980s, beginning with The White Election (1981), a much- performed song cycle on poems by Emily Dickinson. It has been recorded twice — by Kaaren Erickson for Delos and by Lisa Delan for PentaTone — and has been performed in Lincoln Center’s Alice Tully Hall and the Morgan Library (in New York), the Kennedy Center and National Gallery of Art (in Washington, D.C), and the Hermitage Theatre (in St. Petersburg, Russia), among many other venues. His three-song cycle Poor Peter (2005) was included by Lisa Delan and pianist Kristin Pankonin on their PentaTone recital And If the Song Be Worth a Smile, which features songs by six contemporary American composers. Poetry from the nineteenth and early-twentieth centuries has often inspired Getty in his vocal compositions. His choral works Victorian Scenes (1989, to texts by Tennyson and Housman) and Annabel Lee (1990, to a poem by Poe) were premiered by the Los Angeles Master Chorale and Sinfonia at the Dorothy Chandler Pavilion. Michael Tilson Thomas led the San Francisco Symphony and Chorus in Annabel Lee in 1998 and 2004, on the latter occasion also premiering Getty’s Young America (2001), a cycle of six movements for chorus and orchestra to texts by the composer and by Stephen Vincent Benét. Joan and the Bells, a cantata portraying the trial and execution of Joan of Arc, has been performed widely since its 1998 premiere, notably in a 2004 revival in St. George’s Chapel of Windsor Castle, under the baton of Mikhail Pletnev. In 2005, PentaTone released a CD of Getty’s principal choral works up to that time, performed by the San Francisco Symphony Orchestra and Chorus (Michael Tilson Thomas conducting) and the Eric Ericson Chamber Choir and Russian National Orchestra (conducted by Alexander Verdernikov). Getty has recently completed choral works based on Keats’ La Belle Dame Sans Merci, Hans Christian Andersen’s The Little Match Girl, and an original poem that he modeled on Masefield, The Old Man in the Night. He has written a new setting of the traditional text Hodie Christus Natus Est for children’s chorus or women’s chorus accompanied by chamber ensemble, and is currently expanding that into a triptych of similarly scored Christmas pieces. Although most of Getty’s works feature the voice, he has also written for orchestra, chamber ensembles, and solo piano. In 2010, PentaTone released a CD devoted to six of his orchestral pieces, with Sir Neville Marriner conducting the Academy of St. Martin in the Fields, and in 2013 it followed up with a CD of the composer’s solo-piano works played by Conrad Tao. Currently in preparation is a PentaTone CD of his chamber music, which will include a string-quartet version of his Four Traditional Pieces, a work that was performed in a string-orchestra arrangement by Nadja Salerno-Sonnenberg and the New Century Chamber Orchestra in 2012. Other recent performances of particular note featured his ballet Ancestor Suite, which in 2009 was given its premiere staging, with choreography by Vladimir Vasiliev, by the Bolshoi Ballet and Russian National Orchestra at the Bolshoi Theatre, Moscow, and was then presented at the 2012 Festival del Sole in Napa, California. Of his compositions Getty has said: “My style is undoubtedly tonal, though with hints of atonality, such as any composer would likely use to suggest a degree of disorientation. But I’m strictly tonal in my approach. I represent a viewpoint that stands somewhat apart from the twentieth century, which was in large measure a repudiation of the nineteenth and a sock in the nose to sentimentality. Whatever it was that the great Victorian composers and poets were trying to achieve, that’s what I’m trying to achieve.” Getty’s music is published by Rork Music. Danielle Cyrot grew up in Orange County California to a French father and Irish Mother. Her childhood was spent summering in France where she was exposed to the winemaking history of her family from a young age. Her great-grandfather was the last in a long line of ancestors who owned the Cyrot vineyard in Burgundy’s prestigious Côte de Beaune. With no plans to carry on her family’s legacy in winemaking, Danielle enrolled at the University of California, Davis. That quickly changed when she took an introductory winemaking class and realized she had found her calling. At Davis, Danielle worked harvests at both Schramsberg and Artesa in the Napa Valley, where she learned the trade from the soil up. After completing her studies, earning a Bachelor of Science in Viticulture and Enology, Danielle worked abroad at wineries in Alsace, France and South Australia. After honing her skills overseas, Danielle came back to the Napa Valley and took a job as an enologist at Stags’ Leap Winery. Danielle’s talents were quickly recognized as she was promoted to assistant winemaker under her mentor Robert Brittan. During her six-year tenure at Stags’ Leap Winery, Danielle learned to trust her palate and create world-class wines that merited her next promotion as winemaker at St. Clement. Danielle spent seven years creating elegant, structured and significant wines that expressed her personality and what she likes in a glass of wine. Danielle lives with her college sweetheart in Napa balancing work and play as well as their toddler-son Blake. Danielle joined CADE Estate Winery in August of 2012 where she focuses on crafting wines from her two favorite varietals, Sauvignon Blanc and Cabernet Sauvignon. CADE Estate Winery produces two Sauvignon Blanc offerings (Napa Valley and Oakville Estate) as well as three Cabernet Sauvignon offerings (Napa Valley, Estate Howell Mountain, and Reserve Howell Mountain). CADE Estate’s Associate Winemaker, Brett Brockmeyer, has been a vital member of the PlumpJack family since his first harvest with the company in 2008. Originally on track to study engineering, Brett fell in love with wine and winemaking. To Brett winemaking, “just seemed right.” As a UC Davis alumnus, Brett began as a harvest intern at CADE Estate following graduation, after which he was offered a full time position in the cellar at PlumpJack. From there, Brett quickly moved up the ranks at PlumpJack and was promoted to Cellar Master in 2010, Enologist in 2011, and Assistant Winemaker in 2012. And now Brett, as Associate Winemaker, has returned to CADE where it all began. While at UC Davis, Brett also had the opportunity to intern during the 2007 harvest for Clos Pepe Estate in the Sta. Rita Hills of Santa Barbara and in 2005 for a vineyard management company here in Napa. These experiences have allowed Brett to develop a broad knowledge of the winemaking process from vine to bottle. Tyler Martin, Assistant Winemaker, joined the CADE Estate cellar team in August 2013. After working diligently and honing his skill set, showing great passion and detail to his craft, he was promoted to Enologist in August 2015 and promoted to Assistant Winemaker in August 2017. A 2012 graduate of California Polytechnic State University San Luis Obispo, Tyler had no intention of becoming a winemaker. Entering his freshman year, Tyler was studying Agricultural Business. Although he found his business classes useful, he felt his studies were not providing a creative outlet or fulfilling his passion for science. While looking into other majors, Tyler found the rapidly growing Wine and Viticulture Program. Growing up in the Moraga, CA, he has always been in close proximity to the wine country. Spending time tasting and collecting wine with his father, he continued to nurture his interest and knowledge of wine. Tyler’s first experience in winemaking came during his internship at Edna Valley Vineyard in San Luis Obispo. As a member of the 2010 Harvest team, Tyler was exposed to all facets of cellar work. The long hours, the constant pump overs, and the sweet buzz of the crush line. He was hooked. After graduating, Tyler spent the next year traveling the world gaining experience in both the northern and southern hemispheres. As a harvest intern at Vineyard 29 in St. Helena, he got his first experience with the super-premium winemaking of Napa Valley Cabernet Sauvignon and Sauvignon Blanc. Furthering his winemaking education, he moved to Australia in February 2013 to experience two sparkling wine harvests: the first at Taltarni Vineyards in Victoria and second at Clover Hill Wines in Tasmania. Through all these experiences, Tyler practiced many different winemaking styles and ideologies, which have all influenced him to become the winemaker he is today. Since joining the production team at CADE, he has had the opportunity to create elegant, handcrafted premium wines, work with a dedicated team and further expand his winemaking expertise under the talented winemaking practices that Danielle has established. Tia brings over 20 years of experience in the wine industry. She has held multiple positions within wholesale distributors and leading wine companies from Illinois, Arizona, to Texas. Her love of wine began in the restaurant business in Las Vegas where she took her Level 1 Sommelier Certification 22 years ago and now is a Certified Specialist of Wine. Tia is an “Air Force Brat” and has lived in many places. She caught the moving bug as an adult and has lived in 8 different cities and 4 states! Traveling the central part of the country allows her to explore new places and meet new people. When given the chance, you can find her relaxing on the beach, sitting poolside, and spending time with her family and friends. Tia currently resides in Keller, Texas with her husband and 3 children. As the Eastern Regional manager for PlumpJack and CADE wineries, Scot Gaffney distinguishes himself at winemaker dinners not only for providing guests with detailed information on the wines he represents, but personally providing the dinner music as well. Scot, a Certified Specialist of Wine by the Society of Wine Educators, is also an accomplished musician known for playing his saxophone at dinners. 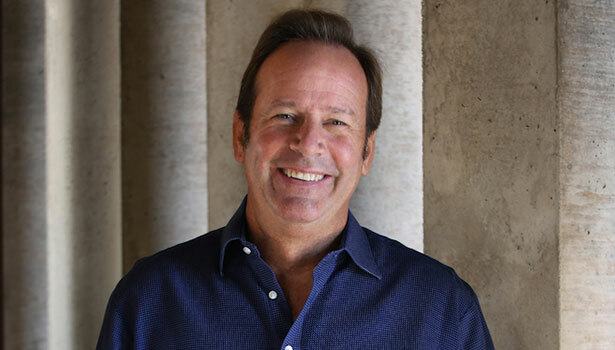 A native New Yorker, the 20-year wine industry veteran is now a resident of Florida. He has traveled extensively through wine country in Italy, Spain, Portugal and California, and has bittersweet memories of completing Kevin Zraly’s wine course at Windows on The World restaurant in Manhattan’s World Trade Center before the buildings were destroyed in the September 11, 2001 terrorist attacks. Scot, a graduate of the State University of New York College at Oswego, currently lives in Parkland, Florida with his wife and their two young children. An invaluable part of the PlumpJack family since 2011, Sandra Roberts serves as the Director of Sales for PlumpJack, CADE and Odette Estate Wineries. Sandra is charged with overseeing all wholesale operations, as well as strategic planning for the three wineries. She contributes a wealth of experience from her two distinguished decades in the wine industry— having served as the first female executive for a prominent distributor in the Southeastern US to national sales positions for some of California’s most esteemed wineries. Sandra takes advantage of her hectic travel schedule by seeking out delightful wine and food experiences in every market. In her spare time, she pursues international adventures—everything from following the old Irish hunt trails on horseback to crossing the Dalmatian Coast by bike. At home in Napa, she enjoys gardening, rooting for her LSU Tigers during football season, cooking, hiking and exploring the outdoors with her 150-pound puppy (and the official winery dog of Odette), Sophie. Lisa Sedgley started her career in the Napa Valley in 1999 when she moved from Arizona to California and worked as Sales Associate at Jarvis Winery. While at Jarvis she discovered a passion for wine and the consumer experience. She went on to become the Hospitality Manager at Stags’ Leap and Etude Winery, then Grgich Hills Estate. In 2011, Lisa joined the PlumpJack Winery group as the Hospitality Manager for CADE Estate Winery. After three years on the mountain she was promoted to Director, Direct to Consumer Sales and Hospitality for PlumpJack, CADE, and Odette Estate Wineries. In her current role Lisa oversees the overall strategic direction of the Tasting Rooms, Membership, Events and Ecommerce. Lisa lives in Napa with her husband who is an Educator and their two children. When the family is not traveling around the Bay Area for youth sports, Lisa and her husband enjoy dining out and attending concerts.